It never fails. Every time we get together with family a card game breaks out. Normally we’d be excited, but in our case the games of choice are nothing more than Hearts or Spades (and sometimes Euchre). 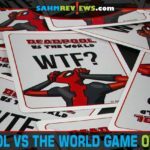 We get it – taking the time to learn a new game that you may never get to play again is not most people’s idea of a good way to spend holiday time. Falling back on classic card games allows you to get to playing without much setup. We’ll be getting together in a couple weeks for Easter dinner and this time we’ll be prepared. 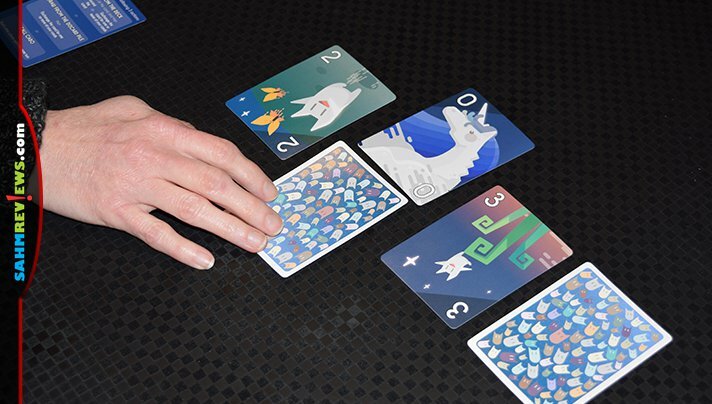 We’re bringing along a copy of Bezier Games‘ brand new Cabo card game! 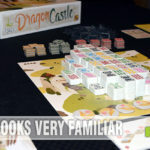 We specifically chose this title because of its family-friendly artwork, strategic play and more importantly, ease of learning! And because it offers just the right amount of player interaction, we’re pretty sure it’ll be a hit. Keep reading – it’s super-easy to learn! To win at Cabo you simply have to have the lowest score. 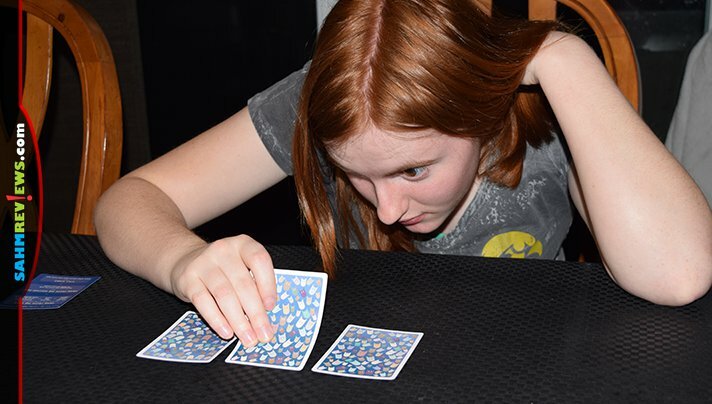 Your score is the sum of the cards in front of you. On your turn you’ll be swapping them out with ones you draw or with an opponent. And when you think you have the lowest total – end the round! That’s all there is to it – let’s play! 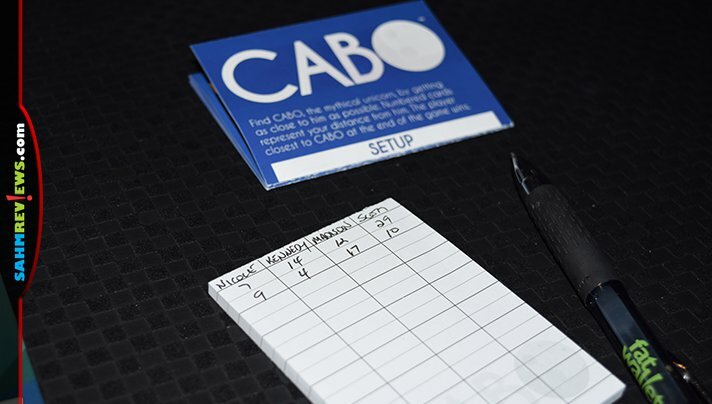 Setting up a game of Cabo is just as easy. 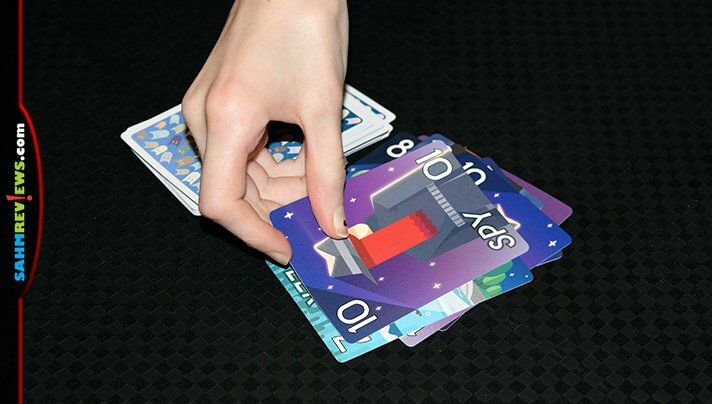 Shuffle the deck of custom cards and deal out four to each player, face-down. Place the deck in the center of the play area and turn over the top card to form a discard pile. Each player may peek at two of their four cards to see what they were dealt. Choose a start player and you’re ready to begin! On your turn you take one action from three possible choices. You may draw the top card from the deck, look at it and either exchange it with one of your current cards or discard it and take any listed action. When swapping, place the newly-drawn card face-down in your tableau and discard the replaced card face-up to the discard pile. If you don’t wish to swap it out, discard it and check for one of three possible actions – Peek, Swap or Spy. Peek allows you to take a peek at one of your cards so you can learn what value it is. Spy is the same, except you’re peeking at an opponent’s card. Swap requires you to swap one of your cards with any card owned by another player! Remember, your goal is to curate the lowest score by summing up the values on your cards, so swap wisely! If you prefer, you can take the top card from the discard pile instead of drawing a new one and place it face-up in your tableau, discarding the replaced card. Lastly, instead of taking any new cards, if you think you have the lowest total at any time during the round, call out “Cabo” on your turn and signal the final round. All other players get one turn each and then round scores are tallied. Additionally, whenever you are replacing cards in your collection by drawing from the deck or discard pile, if you know you have identical cards, you can discard all of them and replace them with just the one new card. This is a great way to lower your overall score by reducing the number of cards you have! Be certain of the matching cards, there is a penalty for trying to discard multiple cards that do not match! Also, if you start with an unlucky hand, you can try to collect the four highest valued cards (two 13’s and two 12’s) to create a trump hand that beats everyone! 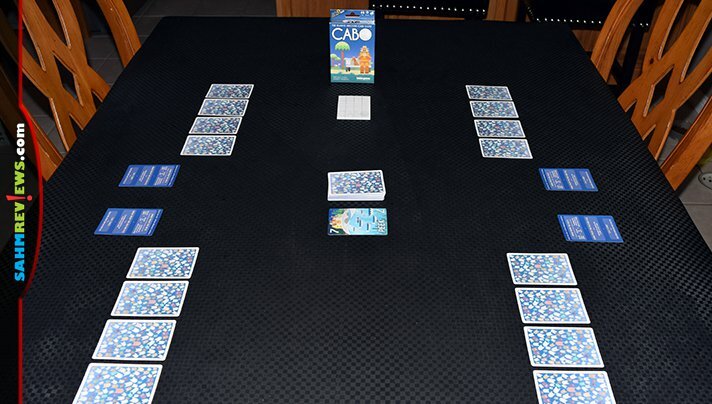 Once “Cabo” has been called, or the draw deck runs out, the round ends and everyone reveals their cards. If the person who called “Cabo” has the lowest scoring hand, they receive zero points for the round. If they were incorrect, they’ll receive their hand total plus 10 penalty points. Everyone else also sums up their cards and receives those points. All cards are collected and reshuffled to prepare for the next round! 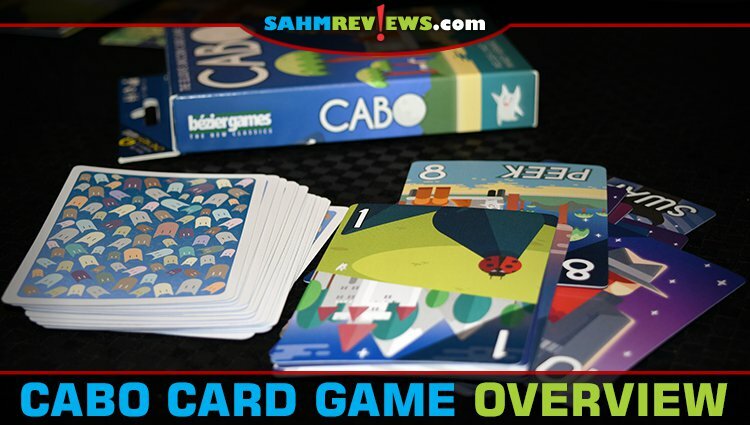 A full game of Cabo is finished when one person’s total exceeds 100 total points. Whoever has the lowest score at that time is the winner! As promised, Cabo is super quick to learn and just as easy to play! Supporting up to four players, expect a full game of Cabo to finish in around 45 minutes. You won’t have to wait long to get your own copy – it releases at retail next week for under $13! Pre-order your copy today to have it in time for Easter Sunday! Do you love finding out about games before they hit the shelves? 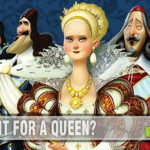 Check out Bezier Games’ website and follow them on Twitter or Facebook so you can be among the first to hear about their upcoming releases. We’ve gotten our own peek at a couple of them – you’ll want to be paying attention! 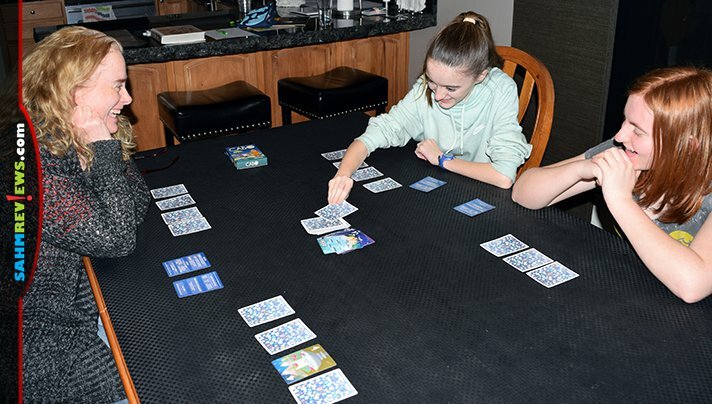 What’s your go-to card game with family?